A BELATED CHRISTMAS GIFT FOR YOU! First motorists driving over Cothran’s Bridge noticed dozens of flags popping up beside Highway 72/221. They appeared to be utility markers, but no one could explain the candy canes which grew beside them. Most reasonable adults assume they are made in factories; but then most reasonable adults wouldn’t consider planting 60 trees in one day! Enter Elf Jimmy. With his own tractor, he dug holes and planted all those trees…in a day. Mumbling something about getting back to work on the trial, he worked at a feverish pace. 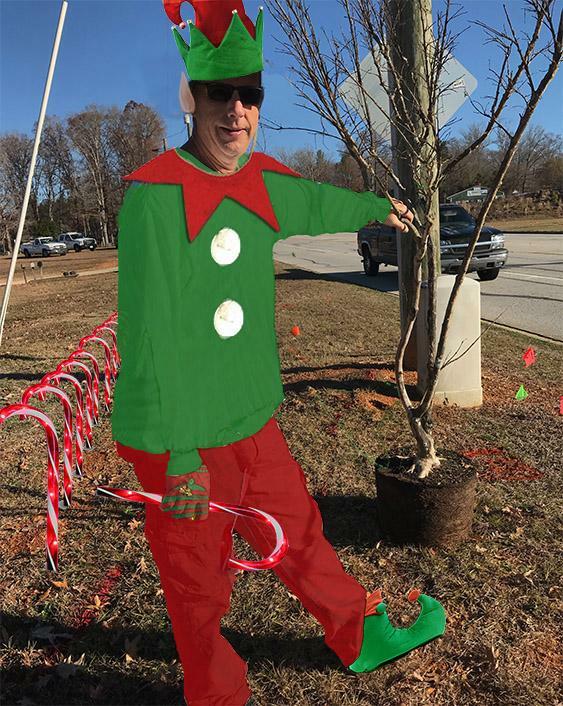 When questioned by a reporter on the scene, Elf Jimmy credited Greenwood and Laurens Counties for providing trees and labor. He especially bragged on Andy Howard from Laurens Parks and Recreation and crew. -Yet it was the Elf himself we spotted planting. Some people just can’t wait! CAPTURED CHRISTMAS DAY – REALLY! 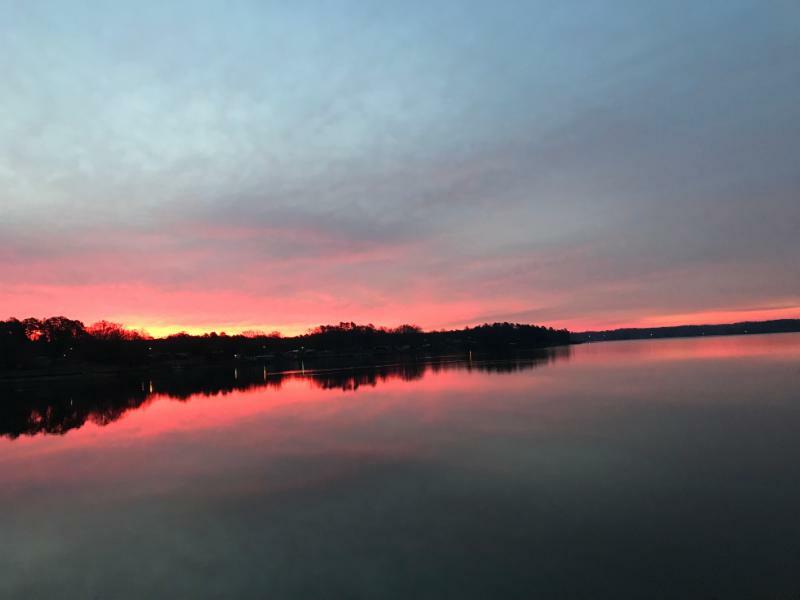 Lake Greenwood is beautiful, even in the dead of winter. Tree lights sparkle across the water as a winter calm sets in. Fishermen are fewer right now, but some still bundle up and reel them in. The wildlife seems to revel in the quiet, with seagalls flittering like snowflakes across the water. Some people say this is their favorite season on the lake. Others….well, they’re not letting cooler days keep them off the water! The lake is at its low point right now. If you’re planning seawall or dock repairs, it’s time to get ‘er done. Julie Davis with Lake Greenwood Management says water levels start rising again on February first, depending on the rain we get. Please put one other date on your calender. The Lake Greenwood clean-up date is March 3rd this year. Here’s looking at you kid…on the lake in 2018. HOME FOR THE HOLIDAYS? We are seeking historical pictures and stories of Lake Greenwood, if you have any, contact Kim Clark at LakeGreenwood@icloud.com 864.910.5168 or Jimmy Peden info@connectlakegreenwood.org 864-809-8222.